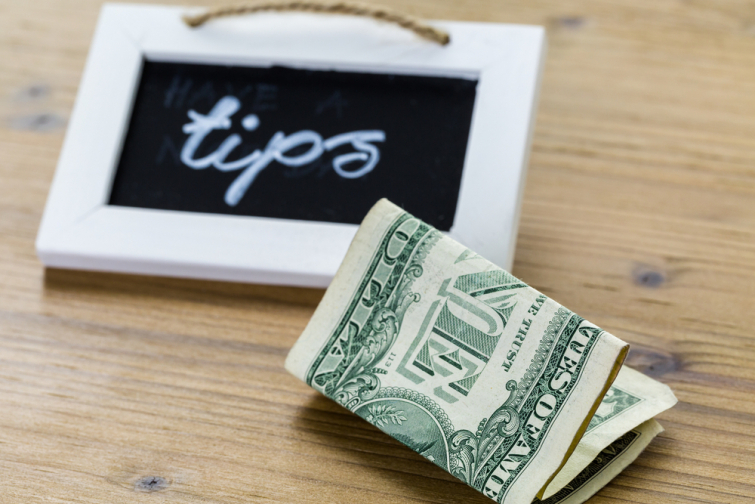 "I'm shocked at how many Christians aren't generous tippers and givers—and many argue against the need to tip their servers at all" John Burton addresses his unbelief. "But as you abound in everything—in faith, in utterance, in knowledge, in all diligence, and in your love to us—see that you abound in this grace also. I say this not as a command, but to prove through the authenticity of others, the sincerity also of your love (2 Cor. 8:7-8). "Has a spirit of entitlement and poverty gripped your life?" - A spirit of poverty will cause us to keep the dollars that are actually meant to be sowed and multiplied back to us. - A spirit of entitlement will result in a lack of gratitude, causing us to keep our money in our pockets while waiting for others to give us more. - A spirit of offense will cause us to reject the call to use our money to bless others who we have determined don't deserve it. Entitlement demands they experience life the same way those who prosper do. They argue they have a right to eat out just like everyone else, even if they can't afford to tip. This is absolutely nonsensical. In fact, it's selfish and rude to expect a server to wait on us and then to tip poorly or not at all. "it's selfish and rude to expect a server to wait on us and then to tip poorly or not at all." Everybody is in a different financial position, and some can afford to eat out; some can't. Some can afford to buy a new car; some can't. Some can afford to go to the Super Bowl; some can't. Some can afford a new computer; some can't. Our resolve to bless those who live on tips (servers, valets, hairstylists, bellhops, your Uber driver and so on) should be a core value—even when their service is poor. My wife and I never decrease the tip by even a penny if we receive poor service. Why? There are many reasons. They may have had a bad day. The kitchen may actually be at fault. They are dealing with depression. Their family situation is bad and declining. They dealt with rude customers at their last table. Or, possibly, they have yet to meet Jesus. I guarantee I am not going to try to "teach them a lesson" by decreasing my tip instead of blessing them in the love of Jesus. If we can't bless those who don't refill our drinks quickly enough, how can we presume to bless those who use and curse us? "If we can't bless those who don't refill our drinks quickly enough, how can we presume to bless those who use and curse us?" "But I say to you who hear, love your enemies, do good to those who hate you, bless those who curse you, and pray for those who spitefully use you. To him who strikes you on the one cheek, offer also the other. And from him who takes away your cloak, do not withhold your tunic as well. Give to everyone who asks of you. And of him who takes away your goods, do not ask for them back.Do unto others as you would have others do unto you" (Luke 6:27-31). "Nobody has the right to eat out if they can't afford it." "We enjoyed a wonderful mashed potato and frozen pizza Christmas dinner!" "We should give radically to the church, period. We should attend church with the same attitude as when we eat out. We are there to bless them instead of expecting them to bless us. We want to give with passion." Too many live offended lives. Offended that others aren't taking care of them financially, offended that others are prospering and they aren't, offended that they are continually overlooked. We should live free from offense. In fact, I'd like to offer my most popular teaching titled "unoffendable" at no cost to you. Trust me, it's a revelation that will change your life dramatically! A spirit of offense is absolutely deadly. It will cause your love to grow cold and your heart to harden. It's a death sentence. "A spirit of offense. It's a death sentence." This spirit will cause you to rise up against others instead of serving them. Your unmet demands and expectations will result in a dark soul, a life of lack and deep resentment. This threefold cord of poverty, entitlement and offense will imprison all who embrace these evil spirits. Faithfully giving and passionately tipping all who serve us out in the world will result in remarkable, prosperous, victorious lives!" John Burton declares!